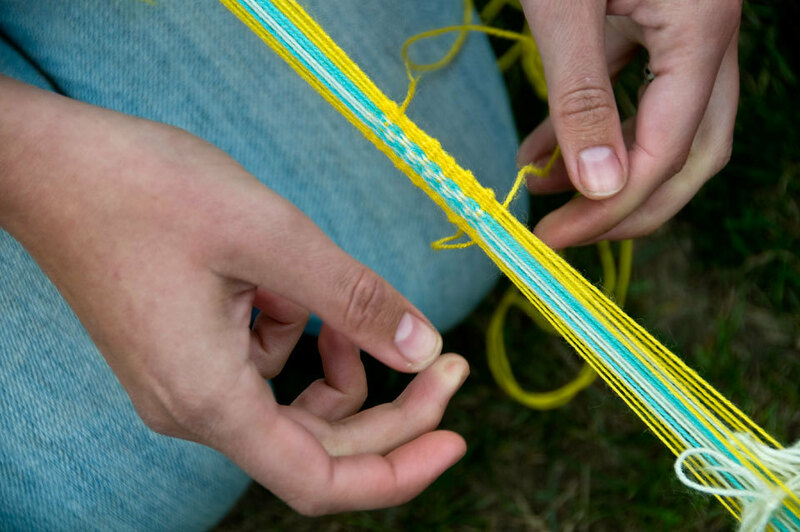 One of the tour programs offered by Awamaki is the chance to learn to weave a pulsera – bracelet – using a backstrap loom from members of the Weaving Cooperative in Patacancha. Though we’ve been helping to sell the Co-op’s (beautiful!) work in the Awamaki store for two weeks now, this Tuesday was the first chance that fellow volunteer Sunni and I had to actually visit Patacancha and see how the weavings are created. Accompanied by Awamaki’s new Sustainable Tourism Intern Kiri and a woman named Jane from North Carolina, we were each strapped into our looms and taught the basic weaving technique by weavers, who taught primarily by demonstration – between learning a totally new skill and the non-verbal teaching method, it took everyone a while to catch on, but eventually we got the hang of it. 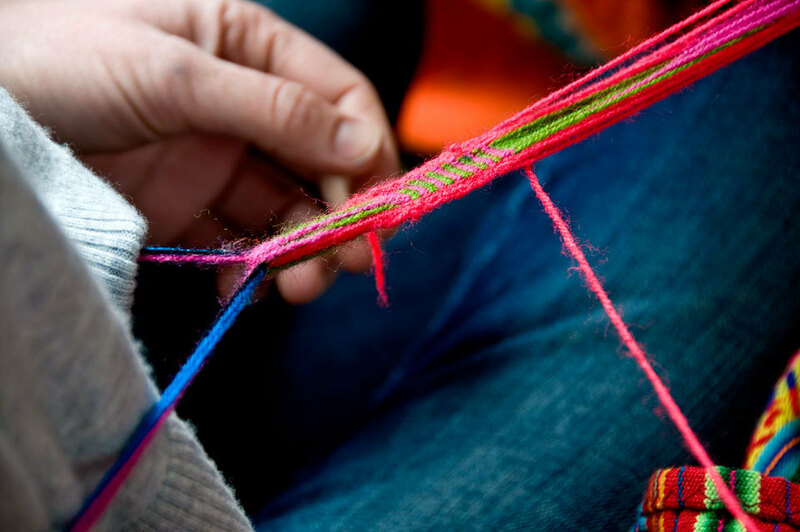 We came home with two brightly colored, if slightly uneven, pulseras apiece, as well as a newfound appreciation for the skill and effort that goes into the textiles sold in our shop. 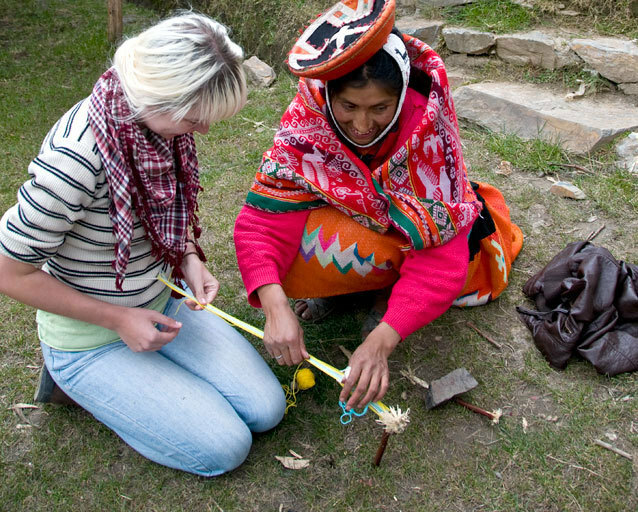 A more detailed description of the weaving lesson by another volunteer can be found here. 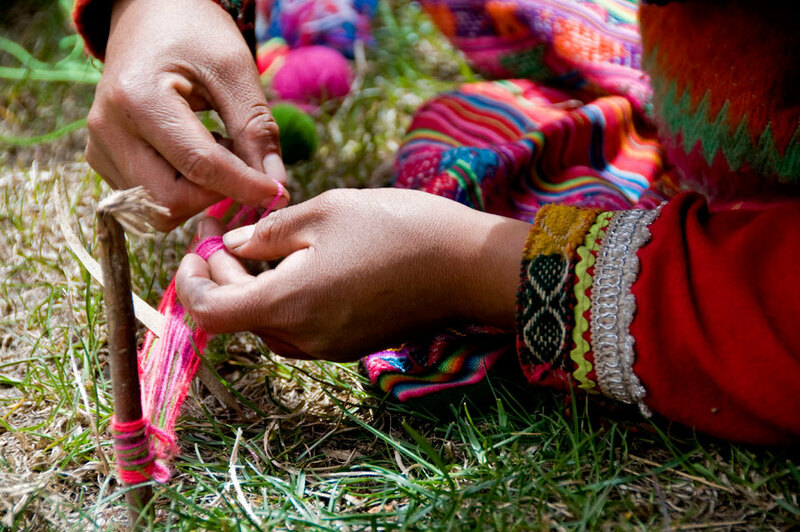 If you are planning a visit to Ollanta and want to find out more about learning to weave, please contact tours@awamaki.org!